Starting from 22 September 2014, a peaceful protest was started by student groups in Hong Kong demanding Universal Suffrage. The protesters also call for Chief Executive Leung Chun Ying to step down from the post. 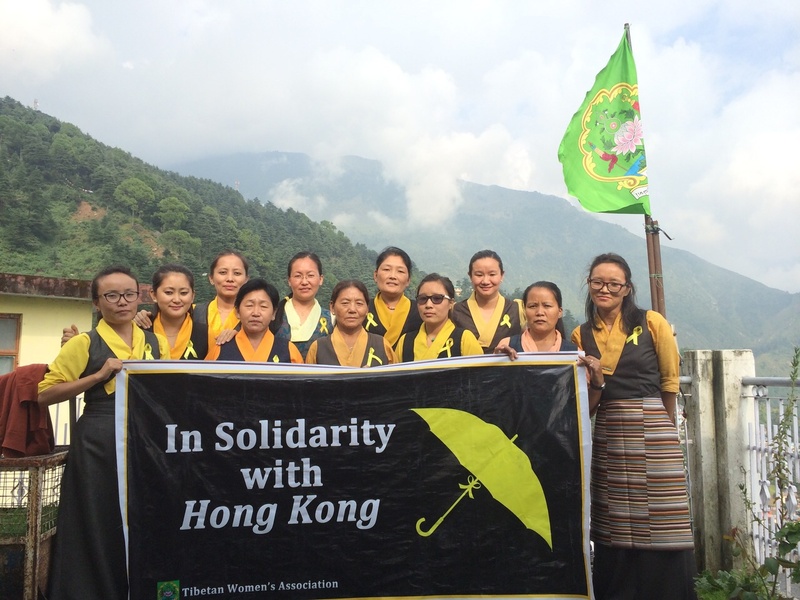 Tibetan Women’s Association is impatient to all the harsh policies that China implements. We can feel the in-depth significance of the protest that people of Hong Kong are carrying today. This morning, TWA initiated a campaign in support of the protest that people of Hong Kong are carrying on their soil for democracy and universal suffrage. TWA’s in-solidarity campaign was started at 10:00 AM at Mcloed Ganj and concluded at 3:00 PM.